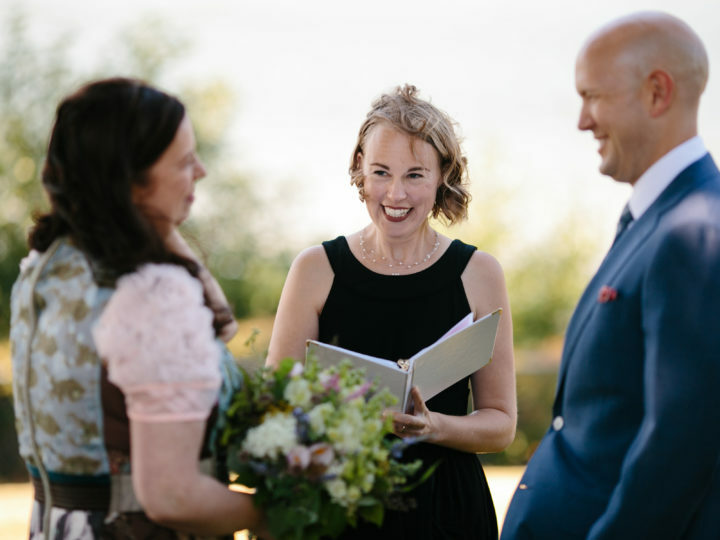 Next up in our Officiant Q & A series is an interview with Vancouver Officiant Denise! 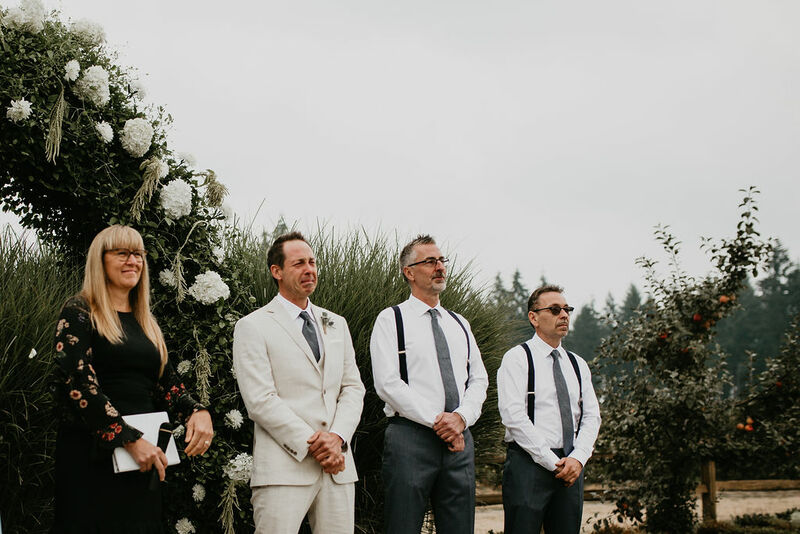 Learn what Denise loves most about officiating weddings, her advice for couples searching for an officiant, and her love of royal weddings! 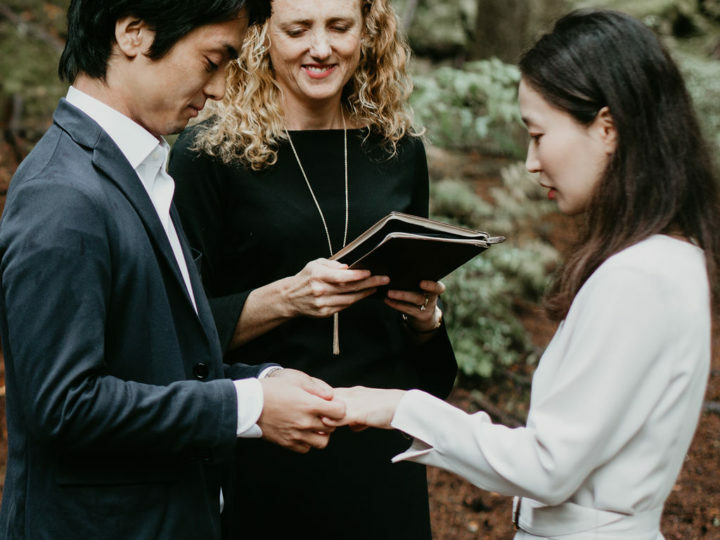 The first question I am dying to ask the couple is, “Sooo, how did you propose?” I love to ask that question because the couple loves to tell it with raw and true emotions that reveal so much about them. This is such an intimate and creative story that I always find myself very moved by it. 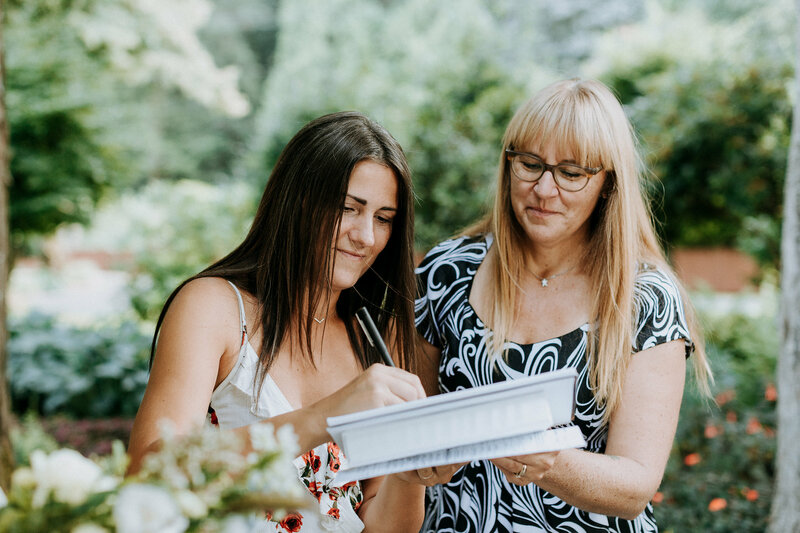 Their openness with me leads towards more conversation and in particular what they are hoping for on their wedding day. 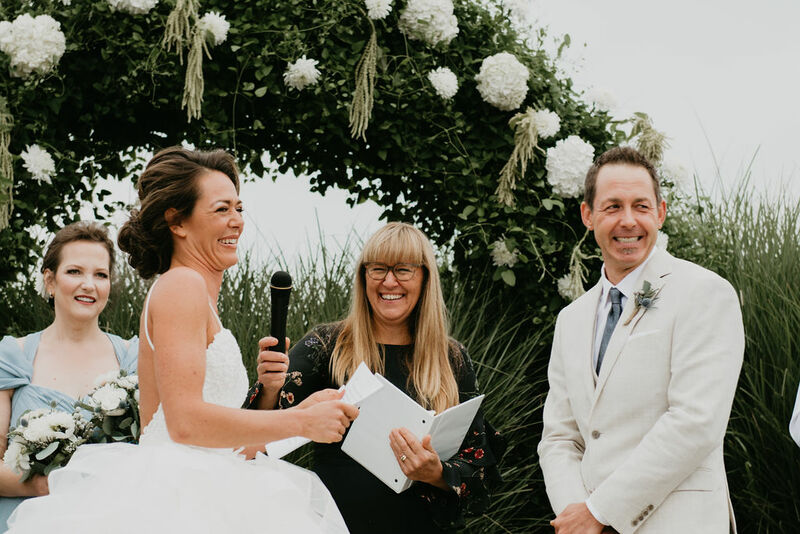 The best compliment I ever received was when the bride looked at me after the ceremony with tears in her eyes and said it was everything she hoped for and that she couldn’t believe she found someone like me to officiate her wedding. Woa! 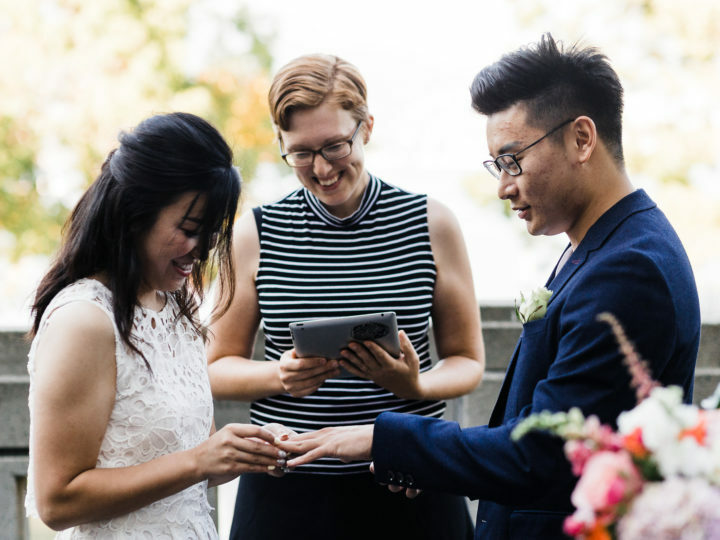 The best part about officiating weddings is creating an energy and connection with the couple and the guests. 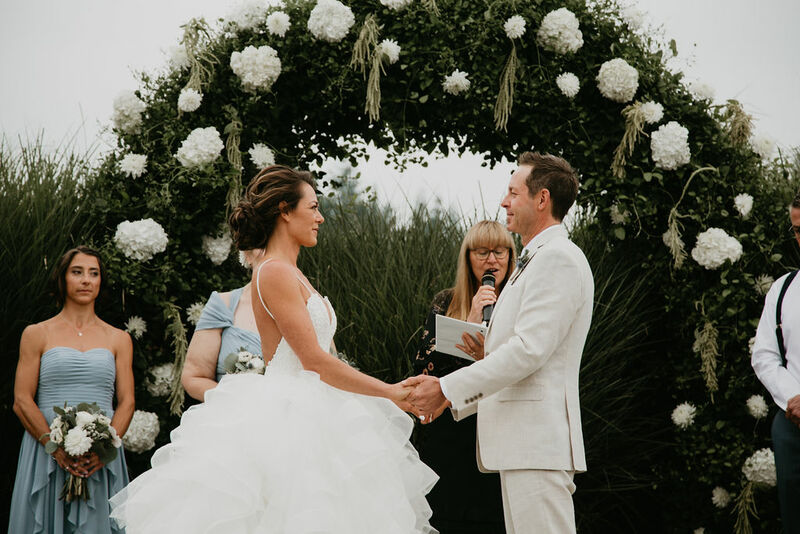 It is awesome to step into the middle of the relationships the couple has with their friends and families and make the love and celebration flow. The most challenging part is waiting for one of the partners to arrive, usually the bride. The growing anticipation of the bride’s arrival dwindles if she is more than fashionably late so it takes alot to keep everyone up. Trust your intuition about what you want for your wedding ceremony and stick to it. Many voices will come your way with great ideas but you know what you want and what you can manage before that day and on that day. Share your most memorable wedding moment! The wildest wedding moment I can remember took place at Whtyecliffe Park. I had come early to look around. I took in the beautiful ocean view on the rock outcropping which is where I suspected the couple was wanting to get married. The clouds were coming and going wildly but letting brilliant sun shine through as they did so. A perfect spot! The moment the couple and their families arrived, it began to rain. I had a feeling it wouldn’t last so I said I could wait it out. We all stood under a large cedar tree until the rain subsided. Once the rain stopped, I ventured up to that perfect spot and took a look at the sky. Off to the north stood a brilliant rainbow. I called out, “A rainbow! There is a rainbow just for you.” So, the couple was married with the brilliance of a colourful rainbow embracing them and saying yes to them and their love. If I were getting married again I would want our guests to hear a bit of our story in the ceremony, so everyone could feel the uniqueness of our love and how it came to be. I think couples need to invest in their wedding ceremony because they are inviting guests who know them and who are going to come to participate in a ceremony that looks like them. Cookie cutter ceremonies are boring for those who know the couple the best. You don’t want to bore them; you want them to get excited with you. Trust your intuition about what you want for your wedding ceremony and stick to it. I love being in the back country, hiking or kayaking for hours a day to get to a new place to camp out in the woods or on the beach. Way cool! I would love to have officiated the wedding of Jordanian Queen Rania and Prince Abdullah. I wish each couple knows how vital mutual lasting friendships are for a successful marriage. 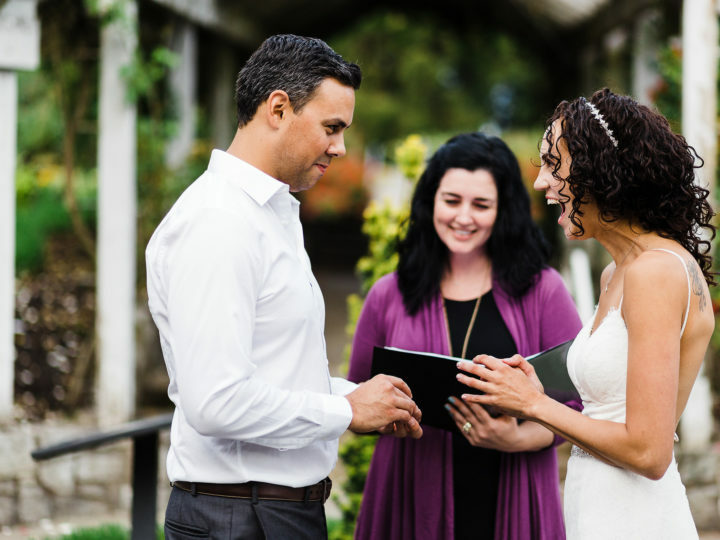 Big thanks to Denise for taking part in our Officiant Q & A series. 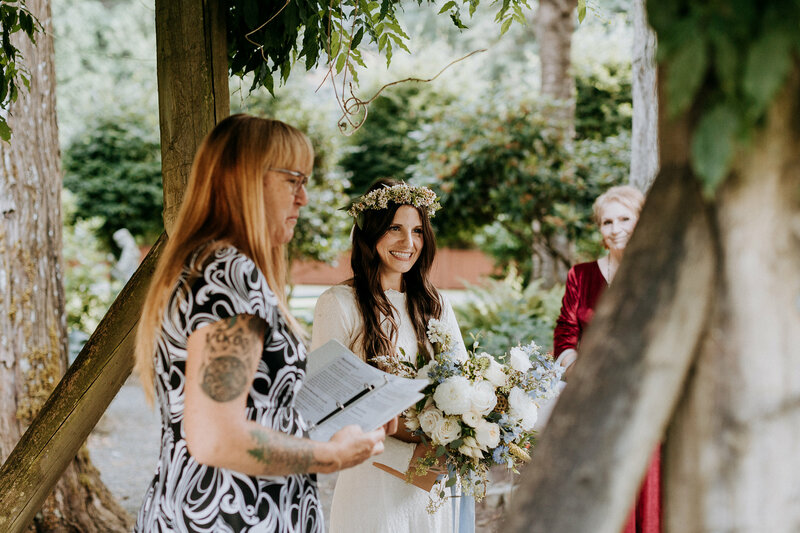 You can find out more about Denise, and book her as the officiant for your wedding day, by checking out her page and reading her last interview.